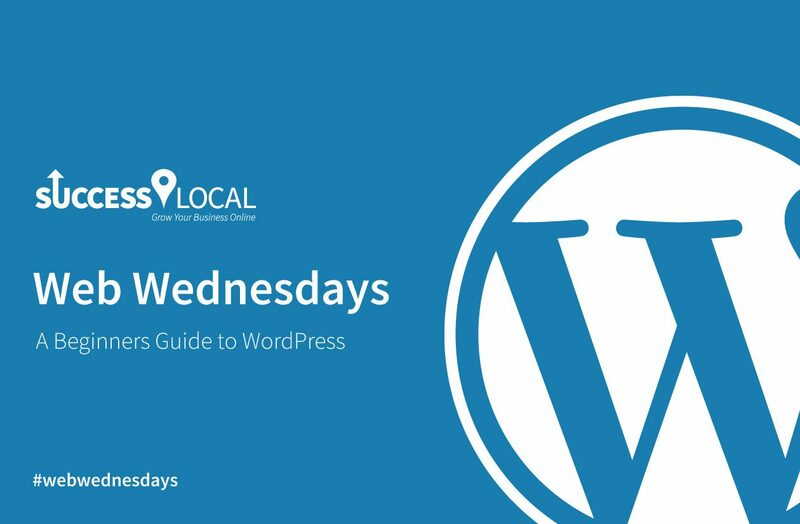 This guide is intended to help support beginners or anybody who might be interested in a brief refresher about how to use WordPress, and despite the fact that we will be sharing what might seem quite a lot of knowledge, we’re only addressing the significant features of WordPress to get you started. Together, we’ll be discovering the basics of WordPress which can assist anyone aspiring to use this open source content management system. WordPress, released in 2003, is an unbelievable fantastic tool for anyone craving about creating a place on the internet to share your ideas, services and products with the world. You can read more about WordPress here. So, let’s get started on how to use WordPress! If you’ve previously looked into how to use WordPress, you may have been somewhat bewildered about the distinction between wordpress.org and wordpress.com. WordPress.org is for users who want to download the WordPress software and manually install this on your own server (web hosting). On the other hand, WordPress.com also offers a great experience by enabling users to sign up for an account and create a WordPress website, and WordPress takes care of all the hosting for you. This may restrict the amount of control you have over your website, including your website address, but for a novice, it can be helpful. We suggest using WordPress.org for the unbelievable amount of control and flexibility it gives users. A website address, otherwise known as domain names, are addresses on the internet which users can visit (i.e, www.google.co.uk). If you’re using WordPress.com, this is somewhat restricted but should be available on some of their paid packages. To purchase your very own domain, you can use a variety of domain registrar companies, such as 123reg, 1&1 and GoDaddy. Simply visit the domain registrar of your choice and search to see if your perfect domain is available (i.e, www.myfruitbusiness.co.uk). If you find your domain is available, you can then proceed to purchase it online via their checkout. Website hosting is required for any WordPress website. Once you have a domain (website address), you then need a server (location) which will hold all of your website files. You can think of it as a vehicle, the domain name is the vehicle registration plate, and the hosting is the vehicle which corresponds to the registration plate. If you’re using WordPress.com, you can simply ignore this section as WordPress takes care of this for you. For anyone else, let’s discuss. Similar to buying a domain, most domain registrar companies like 123reg, 1&1 and GoDaddy also provide website hosting packages, so if you purchase a domain, you can also purchase a hosting package at the same time (some companies give you a domain for free at the same time). Many hosting packages you find will be able to run WordPress, but just check that your hosting includes PHP version 7.3 or greater and includes a MySQL database and you should be good. You can read about the requirements here. After determining your domain and hosting. You can then proceed by installing WordPress. If you’re using WordPress.com, this will already be sorted for you. In addition, many hosting providers also provide a “One Click Install” where they will automatically install WordPress on your hosting ready to use. You can also install it manually by using FTP via programs like Filezilla. To install, simply download the latest version of WordPress via WordPress.org and use Filezilla to connect to your hosting (using FTP which can be found on your hosting control panel) and upload all of the WordPress files. Once uploaded, simply go to your website address (i.e, www.mywebsite.co.uk) and follow the onscreen instructions. You will be able to create a WordPress account, and it will also ask for your database details (MySQL), these can be found in your hosting control panel. To login to your WordPress website, simply include “/wp-admin” at the end of your website address. For example, if my website address is www.mycomputercompany.co.uk, your login address would be www.mycomputercompany.co.uk/wp-admin. Then, enter your login details (created earlier) and click “Log In”. Once logged in, you will notice a menu navigation panel on the left of your screen. You can use this to move around your WordPress dashboard. The main items you should focus on are Posts, Pages and Appearance. If you would like to add additional users, you can use the “User” tab to create as many users (with different access permissions) as you like. You can also use the “Settings” tab on the left to edit general features of your WordPress website, such as the title and tagline. Explore your dashboard to learn about the features you can edit and customise. Before commencing to customise your website, it’s essential to have a solid understanding of the purpose of your website and the goals you want to set. There are many different website types, but arguably some of the most common are blogs, business websites and eCommerce shops. Once you understand the purpose, it becomes much simpler and clearer at what you need to do to construct your dream website. Themes are an incredible way to improve the appearance of your WordPress website. From default, WordPress pre-installs their personal themes, the current theme being “Twenty Nineteen”. This might possibly be precisely what you’re looking for, but if you want something different, you can browse their incredible collection of free themes available to add via the WordPress Themes page. You can also explore paid themes via websites like CodeCanyon. To install a theme, simply go to the “Appearance” page on your dashboard and click “Add New”. You can either search for a theme via the search field or upload a theme you have already downloaded / purchased by clicking the “Upload Theme” button. Every theme is unique and offers a different dashboard experience for WordPress users, so be sure to check the instructions and guide that comes with the theme. If you’re discovering find your ideal theme challenging, then developing your own fully tailored and bespoke theme or working with a web developer is be the perfect answer. If you discuss your ideas with a web developer, they will likely produce a bespoke website design concept to showcase how your website could look based on specifically what you’re after. They will work with you to construct your dream website and ensure you are happy with everything. Although typically more costly than using a pre-built theme, it has numerous benefits and allows website owners to build a fully tailored experience for your visitors. There are multiple ways to publish content on your WordPress website. You will find that posts are typically used for creating blog articles, and can be used for sharing special offers and testimonials of businesses. Contrastingly, pages are reasonably self-explanatory. These are often the main sections on websites, such as Home and Contact. We have produced a collection of pages we suggest every business website should consider adding below. Posts are an excellent approach to help publish content on your WordPress website, and they are especially easy to add. To produce a post, simply find the Posts page via your dashboard and click “Add New”. You will then be welcomed with an empty page which you can populate with your content. To commence, type a title for your post into the title field, and beneath that, you can begin composing your post. WordPress uses block elements, so when writing your post, you should see an arrow appear which allows you to add additional blocks which you can populate with headings, text, images, lists and much more. You should also see a selection of settings for the block, such as alignment options, positioned at the very top of each block (when you’ve clicked on the block) you’ve inserted. You can also change the order of the blocks you’ve added by simply clicking the arrow buttons positioned on the left of your blocks. Furthermore, when you hover your mouse on the right of each block, you should see a “Dotted Icon” button appear. When clicked, WordPress will display further options, such as duplicating blocks. For more advanced block settings, you can also select the block you wish to edit and click the “Block” tab located in the sidebar. This lets you modify the additional settings, such as the width of the block and much more depending on the type of block you have added. Once you’re satisfied with your new post, you can select the “Document” tab positioned in the sidebar. This allows you to assign a category to your post and shows a selection of other features, such as adding a custom featured image (the main thumbnail image). Once finished, simply click the “Publish” button at the top of your screen to launch your new post. Choosing to create a page on your website is an excellent choice for structured segments on your WordPress website, such as a Contact page. To create a new page, simply locate the “Pages” tab in your dashboard and click “Add New”. Populating pages with content is an identical method as posts (we cover this in the “Creating Posts” part found just above). Once you have composed your page, simply click the “Document” tab in the sidebar to view options for your page, such as selecting a page template to use (the appearance of the page). Once completed, simply click the “Publish” button at the top of your screen to launch your new page. WordPress enables users to upload images to the content on posts and pages created. This can be completed via the ”Image” and “Gallery” blocks, in addition to adding images into the text blocks. To view all images uploaded and add new images to your website, simply use the “Media” tab in your dashboard. Here you can see a complete list of all images and click “Add New” to access the upload feature. Plugins enable website owners to create their perfect website. There is an endless amount of free upgrades and improvements WordPress website owners can make to their website. Plugins are extensions (add-ons) which you can quickly install onto your website to extend and enhance the default functionality that WordPress offers. So, where do you find them and how do you install them? Let’s carry on! To add a plugin onto your website, simply head over to the “Plugins” tab via your WordPress Dashboard and click “Add New”. Simply use the search box to browse a fantastic selection of marvellous plugins available to install. Once you’ve found a plugin, click the “Install” button. WordPress will then install the plugin onto your website where you can then “Activate” it to enable the plugin on your website. Every plugin is different, so be sure to read the instructions about how to use the plugin. You can also visit the WordPress Plugins page to discover the fantastic selection of add-ons available, and there’s also a variety of websites selling paid plugins, such as CodeCanyon. To manually add a plugin, simply use the “Upload” feature on your Plugins dashboard page. We also recommend taking a backup of your website before making any changes or installing a plugin. We have provided a selection of plugins below which we really like and recommend website owners install. WordPress is incredibly utilised by over 30% of all websites on the internet, and hopefully, you have discovered the excellent reasons why. Although there is so much more to discover, we hope our article has showed you the basics on how to use WordPress and will assist you on your wonderful journey with WordPress. As ever, if you have any questions or would like advice please feel free to get in touch with Success Local via 01455 367 100 or by sending an online message below.